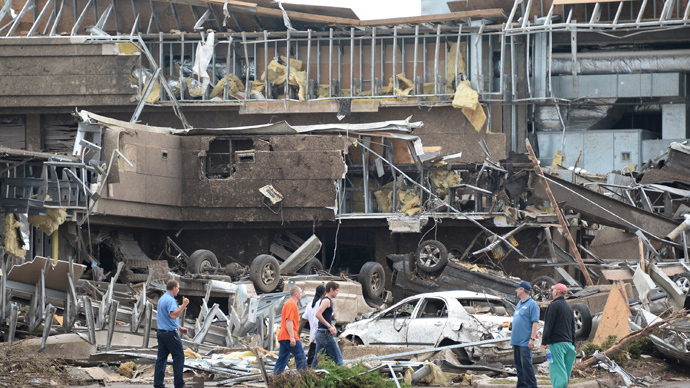 Multiple twisters have ripped through Oklahoma City and metropolitan area during rush hour on Friday evening, killing ten people, including 2 children. 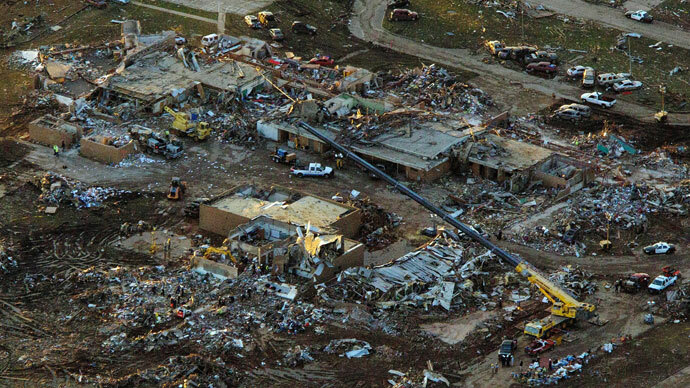 One tornado repeated the route of the Moore twister which killed 23 just 12 days ago. 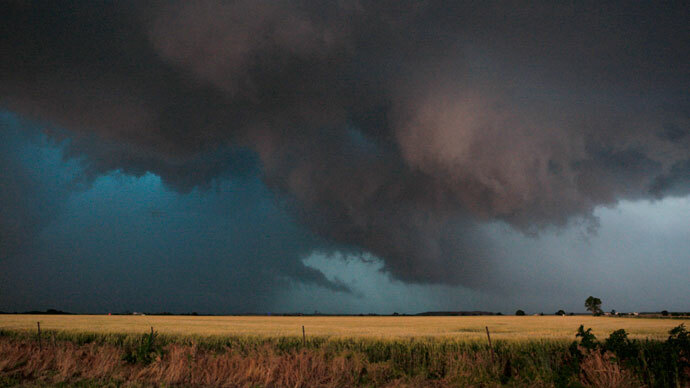 Follow RT's LIVE UPDATES on tornadoes in Oklahoma. The Oklahoma office of the Chief Medical Examiner said that 8 adults and 2 children are confirmed dead, including a mother and her child. Five of the deceased met the fate in their cars. Among the victims were a mother and a baby, found near a car on Interstate 40 west of Oklahoma City. Reportedly, the tornado threw them out of their vehicle. The number of hospitalized exceeds 50, with five of them in a critical condition, hospital officials report, while the number of injured is growing. “The damage is very, very widespread,” said Lara O'Leary, a spokeswoman for the local ambulance agency. 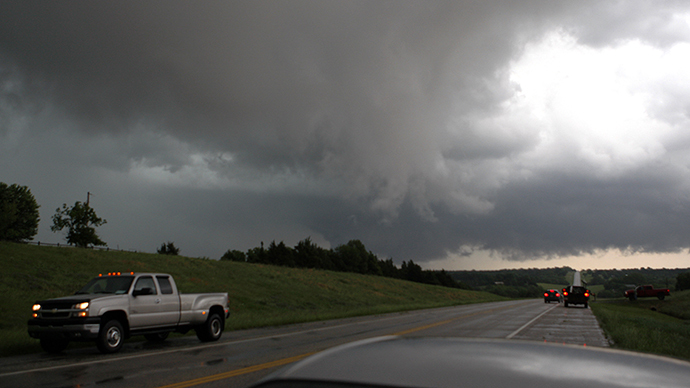 Overall up to five tornadoes formed in Oklahoma on Friday, some of them reaching speed of 130 km/h. One tornado went along highway I-35, where stopped rush hour traffic resembled a “parking lot,” according to a KWTV reporter. At least six semi-trailer trucks were overturned. Another one traveled the same route as the devastating funnel that ravaged Moore on May 20, killing 24. But this tornado luckily became only a pale shade of the one that devastated the area with the 320 km/h peak gusts last week. 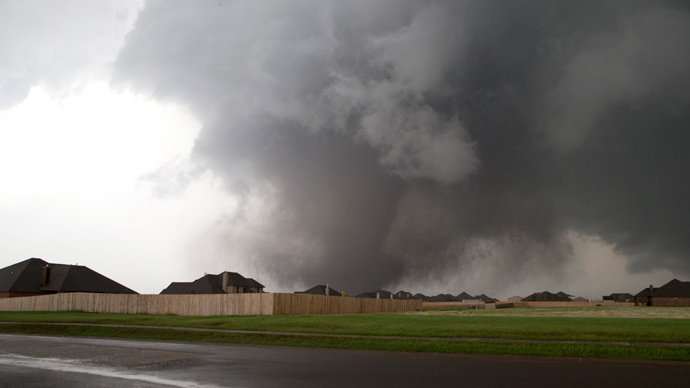 One more smaller tornado, according to KFOR, has been reported in Del City, where local authorities turned town's city hall into a public shelter. 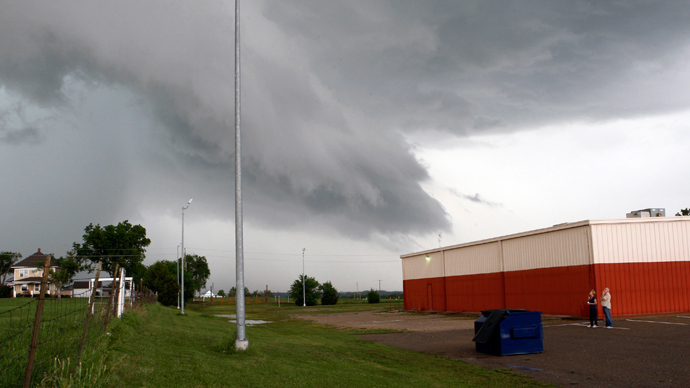 In the neighboring St. Louis area, a tornado ripped off the roof of a suburban casino. CCTV cameras in the city recorded debris falling from the sky. Residents told KFOR that “baseball-sized hail” was raining down on Oklahoma City and the surrounding area. 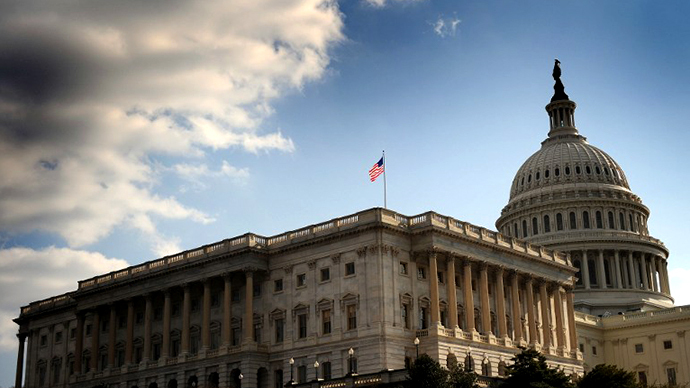 Highway Patrol Troopers continue to scour the country for victims. All inbound and outbound flights at Oklahoma City's Will Rogers World Airport were canceled; over 1,000 passengers were directed into underground tunnels for shelter. Heavy rain caused low visibility and made floodwaters going up over one meter, hampering the rescue operation in Oklahoma City and the state suffered widespread flooding. According to ABC News 100,000 people were left without electricity, at least 65,000 of them in the Oklahoma City area. Every year an average of 1,200 tornadoes go through the Midwest US region known as Tornado Alley, most of them are relatively small.